Not all our bugs are scary. Some are just beautiful! 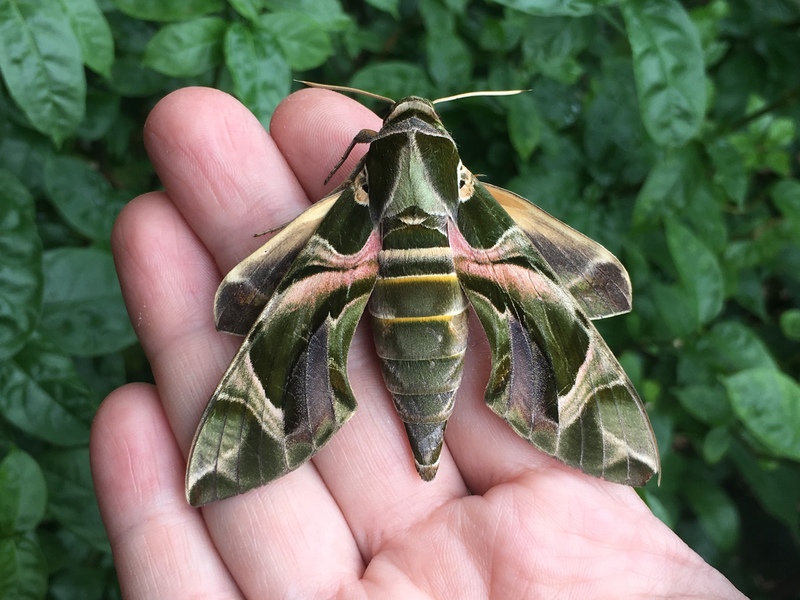 This morning as Matt and Aaron left to teach at CAPA, Aaron found this beautiful oleander hawk moth (Daphnis nerii). This entry was posted in Life in Africa, Our House, Visitors.